Just a picture of papa and pappu before a outing..
Like many moms i have experienced the pain in feeding my baby. She was a very very fussy baby. She never takes a single spoon of food wholeheartedly. There will be so much crying and pushing in feeding her. Many months passed like this. But now i have found a new way to feed her, by introducing music and rhymes. And found that it is quite successful. One of my and maha's favorite rhymes is this chu chu TV. I came across their channel in you tube and they make some of the best baby rhymes..
What i did is i downloaded all the songs from their channels and copied that in a hard drive. I have that connected to out TV. When i ever i feed her, i just turn it on and she really enjoy that rhymes and i feed her in just 5 to 10 mins. It is that easy. If your baby is like this, just try this way and it works..
FIND YOUR BABIES FAVORITE SONGS AND USE THEM..
Just check few of their videos.. Watching TV and eating is a bad combination ! Please do not encourage this. 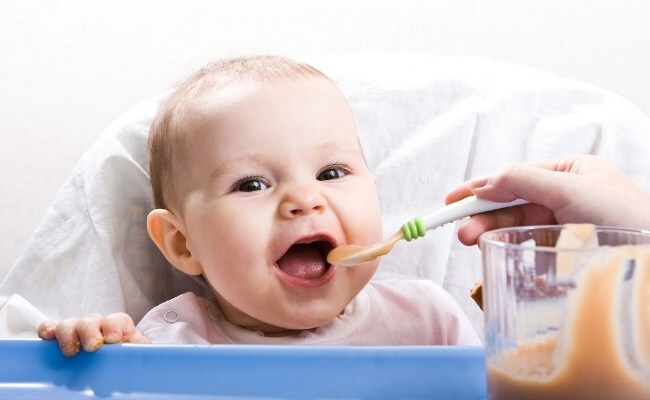 Your child has to know what she is eating and should focus on eating, even if she eats little. Watching TV + eating will lead to obesity problems and they will end not liking anything. Put effort into making finger food that they can pick up and eat by themselves. Distraction while eating is a NO ! Sit and eat with her and show her how to eat and when she sees you enjoying the meal experience, she will slowly get it. Even I had the same problem while feeding my Baby and one day i fed her while the TV was on. and she just finished her food in no time. You must try Mother goose club videos. They have lovely and informative rhymes for babies. Please do not encourage your baby watching TV or using any electronics while eating. I know its easy to advice but difficult to follow. I understand the pain everyone face in feeding baby. Here is a tip. Even my baby was a fussy eater. Really very fussy. From my experience, he started eating properly when I started telling him new stories everytime (ofcourse moms should read many story books just for their kids :) ), sing rhyme songs, make funny sounds like animals & birds or just reminding him what happened the previous day or any special day(the day when he enjoyed in the park or beach). We think kids won’t remember what all happened, but trust me, their memory power is better than us. If you practice your baby watching TV now, your baby will expect the same while going to school. Since there wont be any TV in the school, kids will get bored of the food and will not empty the Tiffin box. We moms will think that the kid doesnt like the food and will break our head to cook innovatively and end up giving junk foods. The actual reason is, kid couldnt eat without distractions like TV. Also watching TV is not good for overall health, not just eyes. If you are feeding the baby 5 times a day, then 5 times of TV time. Your baby will feel tired and cranky after watching hours of TV. Its not that all kids will become obese in watching TV. Already chubby kids will end up being obese by eating more and being less active while watching TV or any electronics. Lean kids will tend to become more weak and face difficulty in gaining weight even after giving healthy foods. They will eat good but not gain weight. Electro magnetic radiation(EMR) from the devices like TV, phone,Tablets are more powerful and make the kids very weak. Some kids will ask for Tablet or mobiles when they grow old and end up spending whole day with it. We might think that they are learning a lot from the videos. Ofcourse YES. But what about their health? What ever they are learning from videos, they can learn from books. Kids don’t know which is good for them. They get attracted by these stuffs. But, as a parent, we are responsible to do only whatever is good for our kids. Stopping this habit early will help the kids to concentrate more on other useful stuff like reading books, playing outdoor games, doing small experiments with their toys,etc. will help them learn a lot and to lead a healthy and happy life.